Earlier this year international salon pioneers, Sorbet, released their first full-service makeup line to add to their existing nail colour and BB cream offering. The What a Cheek Blush Cheek Stamp and Prep & Poreless All-In-One Super Face Primer are office favourites, but its their Cover & Go Concealer and Foundation range that made us sit up. It’s not just because this two-in-one saves us valuable time in our morning routine (five more minutes in bed, yes please! ), but also because it comes in a WHOPPER twenty-four shades. In this they join a stream of super-cool beauty brands addressing the cosmetics’ industry’s long-standing failure to provide products for women of colour. Whoop, whoop! These glorious twenty-four shades have come as a result of The Skin Tone Project from Sorbet parenting company, Clicks. 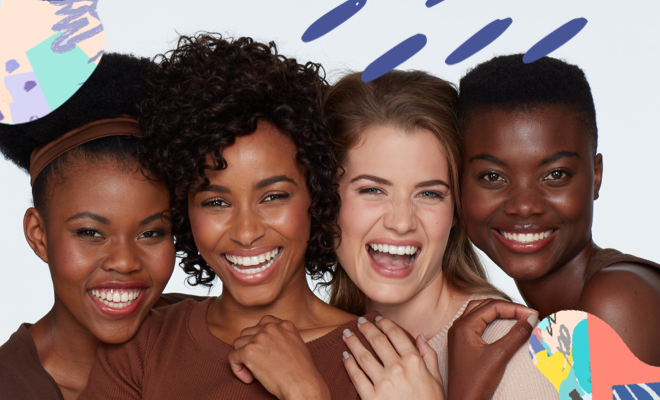 The nation-wide study had Sorbet speak to nearly 3000 women in order to create a foundation range truly reflective of South Africa’s diverse population. It’s makeup that got real. Nice one, team! Sorbet then went one step further with the release of Foundation Match-Me services to ‘help you find your perfect match in store’ as well as in all Sorbet salons and participating Clicks stores. More fun, less confusion. We’re there for it.